ColecoVision.dk Homebrew Section Presents: Name. Luc Miron was the former webmaster of Opcode Games' 3rd site. Luc lives in Rue Mylène, Laval, Québec, Canada. Luc is fantastic to draw graphics, and he do it for anyone who want to. Luc's passion is closest to ColecoVision, which has dispaced Atari 2600 a little. Luc had spent several years of good cooperation with Eduardo Mello who is the founder of Opcode Games. What Luc mostly learned during in time with Opcode Games was more related to the effort involved in making boxes, manuals and cartridges. Daniel Bienvenu, another programmer learned Luc some little programming for ColecoVision. And I think this is Luc's goal that he will one day be able to program his own games. Luc decided in 2009 that he would cooperate more broadly. So he created a new publishing label and a website by the same name. The name was Team Pixelboy and is simply a ColecoVision publishing label. Steve Turner, Óscar Toledo Gutiérrez, Jacob Hawk, and Dan Hower. And there are also several beta testers: Eduardo Mello, Troy Whelan, Stephen Seehorn, Michael Di Salvo, Todd Scheele and Jean-François Dupuis. And many more peole are involved, at least 20 more. On Team Pixelboy are all wishes and more to, and Luc has always several games ready for release. You can email him for games the whole year, but official releases are almost dated to December 25 each year. Left over games is handled by AtariAge Store and Good Deal Games. Some of his first graphical work was checkers. But he has also made other graphical game designs. Checkers was never programmed for our ColecoVision System, nor even a version of Crystal Castle. 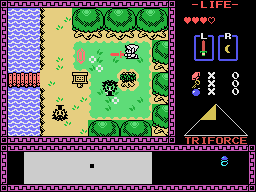 But rumors says that Legend Of Zelda also will a part of an upcoming project based on the Game Boy version. The games above was never programmed, they only exist in graphics. 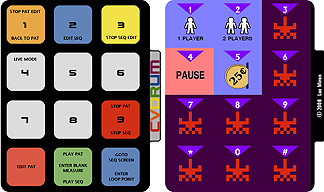 Luc made also overlays for the ColecoVision, and even his bet for a new design for a new joystick and a CV2 case. Luc is very good at using Photoshop, here are 5 boxes selected among many, maybe mor3 than 80. He is quite clever, and he has details with in it, -nice indeed. Some of the boxes are produced by: Marc Oberhäuser and others by Oliver Puschatzki in Germany. Goonies and Gradius boxes was never used in their versions you see above. 3 years after its release have Team Pixelboy offered to release the ROM files above. The first games was Gulkave, then Girls Garden and Track 'n Field. Jewel Panic - Uridium - Gauntlet - Space Shuttle, Booming Boy, Multiverse and many many more. Luc sells not only "normal" ColecoVision games as he always do. Newest is ColecoVision Super Games. Super Games requires that you have invested in a Super Game Module or the new CollectorVision Game System. Luc was starting slowly with his BasicVision for Coleco/ADAM. 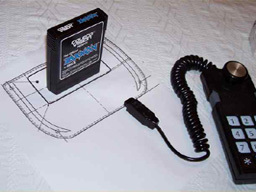 BasicVision is a programming language designed specially for the ColecoVision console. 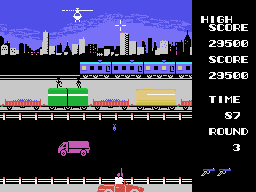 You can read more about BasicVision on his ColecoVision site. Luc know very well his BasicVision will be a long-term project. 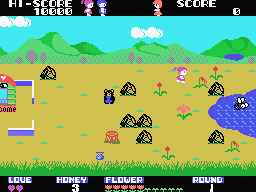 And with so many ColecoVision games that need to see the day of light, is the time for BasicVision to start up delayed to around 2018 or 2019. Luc will also in the beginning of January 2014 try to make and launch Trading cards. It will be a big project, he will produce trading cards with ColecoVision games and its hardware. It has been tried before, Phil Boland has made this few years before. Luc's goal is to produce a trading card for each and every box variant of every ColecoVision product ever released. This amounts to a total of over 430 trading cards, and more will likely be added to the list as new homebrew games are released. Luc will create the cards and sell them in 7 sets of 55 cards per time. Release date is not yet announced, but 2019 could be a good bet.